We are proud to offer our McElvain family’s selection of weathervanes. During the month of April we will be open sporadically while we get ready for the upcoming season. Please call to make an appointment or to see if we are here! We are located in the beautiful White Mountains of New Hampshire. If you haven’t been to our store, we welcome you to shop on our website. We are proudly part of the McElvain family of Coppersmiths. 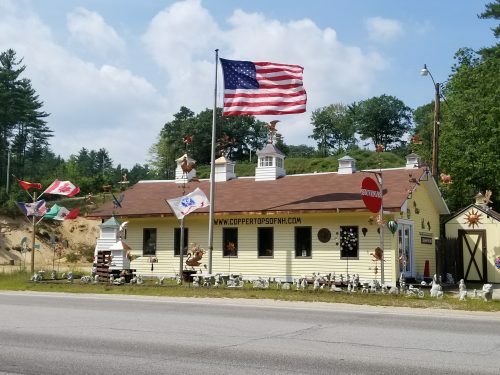 We have over 85 years experience in weathervanes and cupolas collectively. We strive for excellent service and we are here to answer all of your weathervane and cupola questions. white pine, white cedar or solid vinyl, with either windows or louvers. We will gladly build cupolas to your specifications.